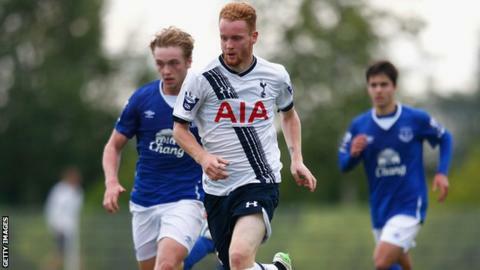 League Two side Stevenage have extended the loan of Tottenham Hotspur defender Connor Ogilvie until January. The 19-year-old left-back has made four starts since joining Boro on an initial one-month loan in August. Ogilvie, who has never appeared for the Tottenham first team but has been in their Europa League squad, scored his first professional goal in the 2-1 victory over Plymouth on 5 September. Teddy Sheringham's Stevenage side face Barnet in League Two on Saturday.